There’s an unspoken war that goes on in the TEFL world between British English (‘the Queen’s English’) and American English. Whether it’s a valid debate or not, it does exist. As a TEFL teacher you’ll be faced with trying to explain the differences between them. Don’t worry, there aren’t as many as you fear. There’s also the quirky British dialect that completely drops the ‘h’ altogether, aka Cockney: Yes, he is = Yes, ‘e is. Keep in mind both are grammatically legal, but most English textbooks will focus on the British version as correct. That’s because the past simple, ‘did,’ has a feeling of a finished action. ‘Have…eaten’ is asking about the past to the present- with the focus being on now (Are you hungry? is the meaning). This is a very general summary. For TEFL teaching, you will be required to understand, use and explain the perfect tenses. Once you get it down, you’ll feel like a teaching rock star. Which Pants Do You Wear? There are many more, but the easiest way to avoid misunderstandings or looking idiotic when you’re teaching from a British textbook is to familiarize yourself with some of the common terms. The same thing goes for spelling differences. Being aware is being a step ahead. The best way to deal with the whole UK/US English debate with your students is to highlight how few differences there actually are. 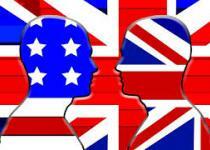 Make sure it’s clear that Americans and British don’t have large problems in conversation, and that your students will be understood easily by native speakers from both sides of the pond.